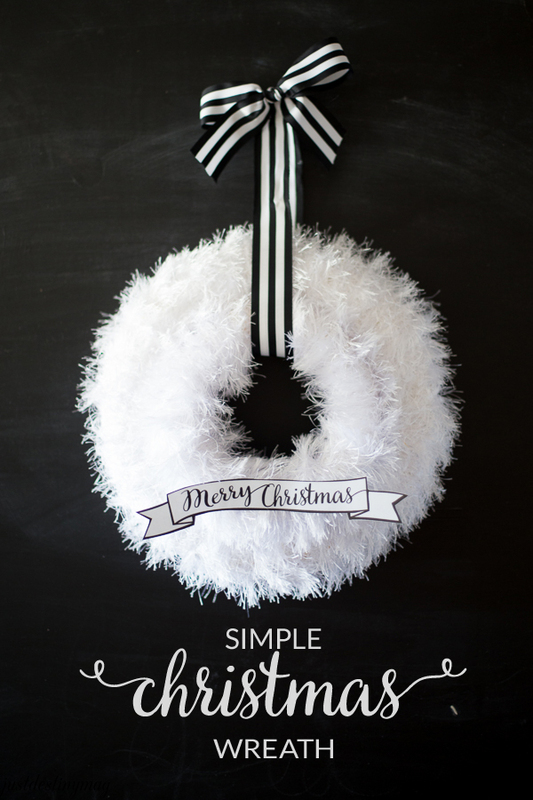 This is called a simple wreath for a reason. There are only a few steps to get this beautiful look. It’s an affordable craft that can easily be done on a craft night with friends or watching your favorite TV show during the week. 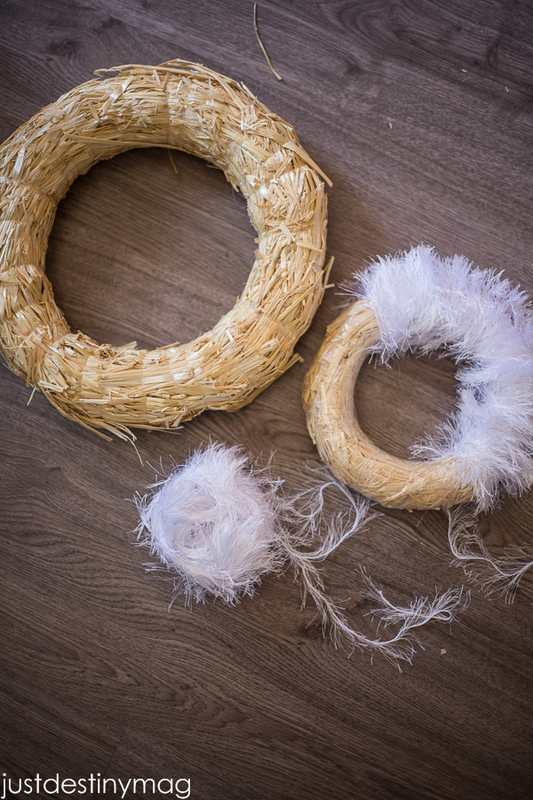 Simply wrap the eyelash yarn around each wreath. Keep the yarn tight and fluff it out every now and then to keep a fluffy appearance. Then stack the wreaths on top of each other and wrap the black and white ribbon on top. I have a tutorial here on how to make that adorable black and white banner! Free printable just for you here! Need supplies fast? I put together an Amazon list just for this craft! 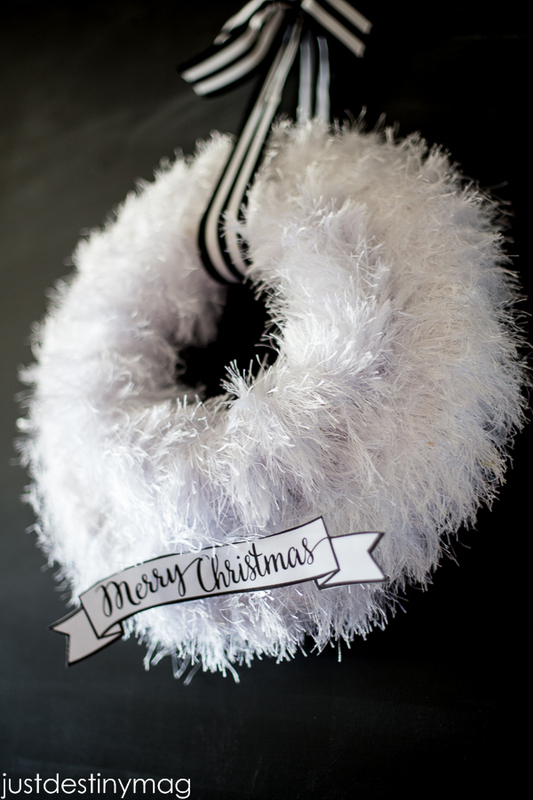 You can use white, silver or any other eyelash yarn color you can think of! Love the rose gold too! 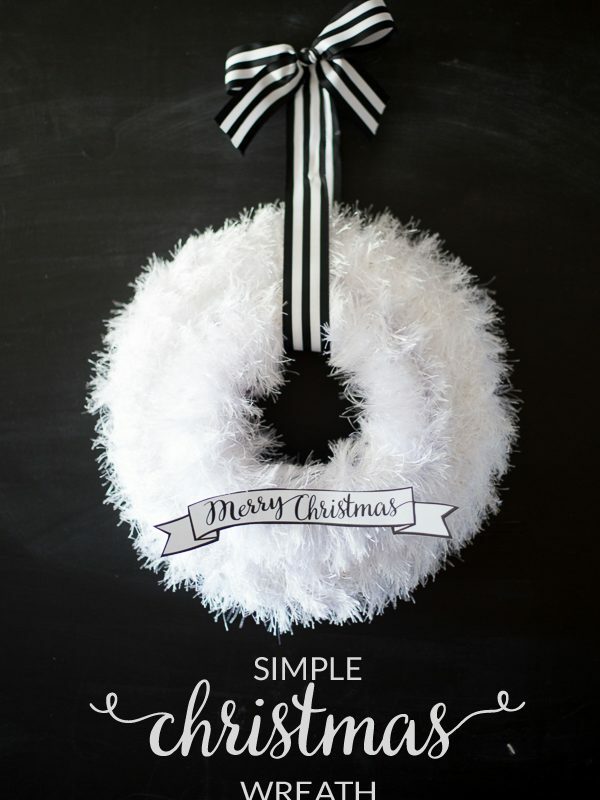 If your looking for more Christmas Wreath Ideas PIN THIS image below for later reference! This is just simply fluttery and delicious! What a pretty, delicate white wreath for Christmas. What a lovely, glam wreath! Ok this is so pretty!! And so genius! I would never have thought of stacking the wreaths – that is so clever. Oooh, I love this, so modern and simple but very very classy too. Beautiful wreath! I love the simple ribbon, where did you get it? Beautiful wreath! How did you make the ribbon bow?